Hairul is a Professor at the Faculty of Engineering, focusing on specialty optical fiber devices and sensors. 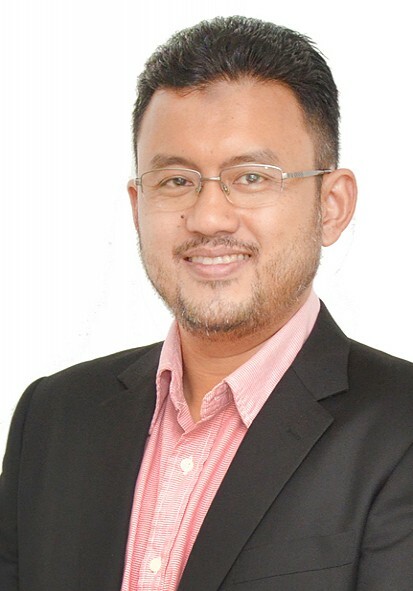 He is currently serving as the Vice President Research and Innovation, leading a team that strategically plan, implement and monitor research, innovation, commercialization and entrepreneurship endeavors in MMU. Hairul obtained his PhD in Optical Communication Systems from Multimedia University (MMU) in 2007. He has since, led a team of researchers, collaborating with Telekom Research and Development Sdn. Bhd. (TMR&D) focusing on designing and fabrication of specialty optical fiber for communications and sensors. His research team has accumulatively attracted grants close to RM9.9 million from PETRONAS, MOSTI, MOE and TM. His current project is into new optical communication transmission band and its amplification methods, funded by Telekom Malaysia Bhd (TM). The output from this project leads to improvement in transmission bandwidth, allowing greater broadband experience. The project has started to strike commercialization interest from industry like FiberHome (China) and Alnair Labs (Japan). Another notable project is funded by Petronas Research Sdn. Bhd. that focuses on distributed optical fiber sensors for the oil and gas industry. In parallel, his team is collaboratively working on doped optical fiber as Radiation Dosimeters. The project is led by University of Malaya (UM) and funded by Ministry of Education. Working with Nuclear Malaysia, this project aims at allowing better measurement of radiation dose at various energy levels corresponding to applications ranging from environmental, diagnostics, radiotherapy to industrial. Resulting from these research endeavours, Hairul has published 134 peer-reviewed journals and 78 conference papers. He has filed 2 patents and granted 6 Industrial Designs (ID). The research team has collaborated extensively, both nationally and internationally, spanning across academia and industry. His research leadership and expertise has also been recognised through invited speeches at international conferences, chairmanship of IEEE Photonics Society Malaysia Chapter. © Copyright 2019 Multimedia University. Designed and Developed by MPU-ITSD.